This year's National Day, also known as our Golden Jubilee was a very special one. 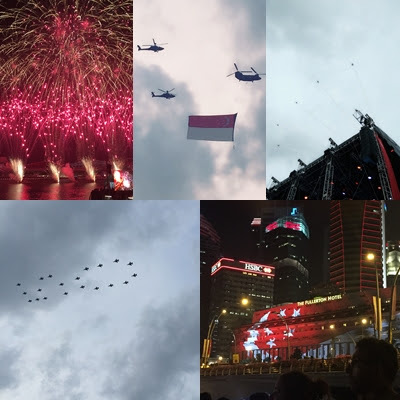 It's 50 years of independence for Singapore and there were a lot of national programs lined up! How did we spend our National Day? Well, we went early to Marina Bay Sands in hope to get the best spot for the special fireworks! Here are some of the shots of the flyover parade and fireworks to share! And somehow I'm glad that all the buzz of celebrations came to an end, and again I can have my personal time when the kid goes back to school. 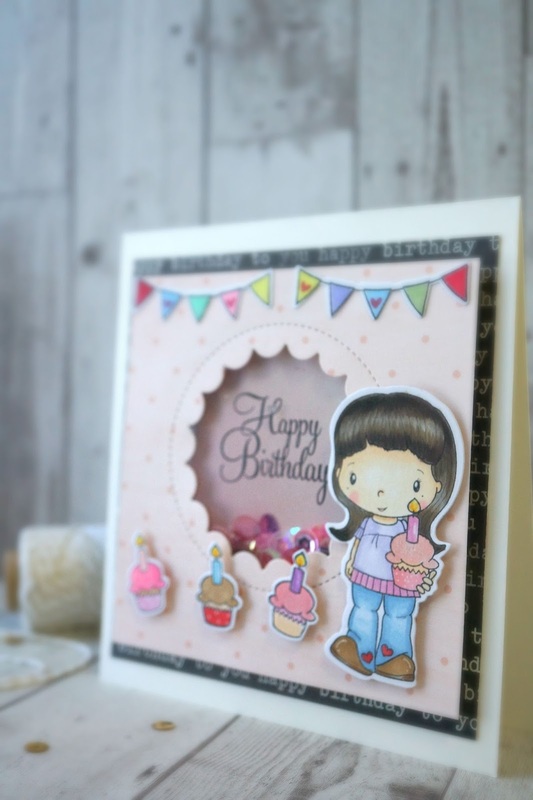 Yesterday I spent half of my morning making a birthday shaker card for a lovely friend of mine. I hope she will like it! 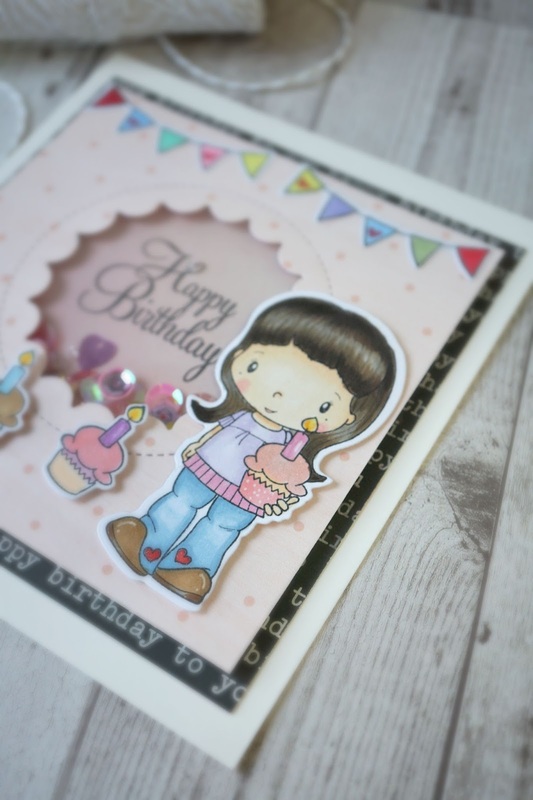 Here is Birthday Birgitta from CC designs rubber stamps. 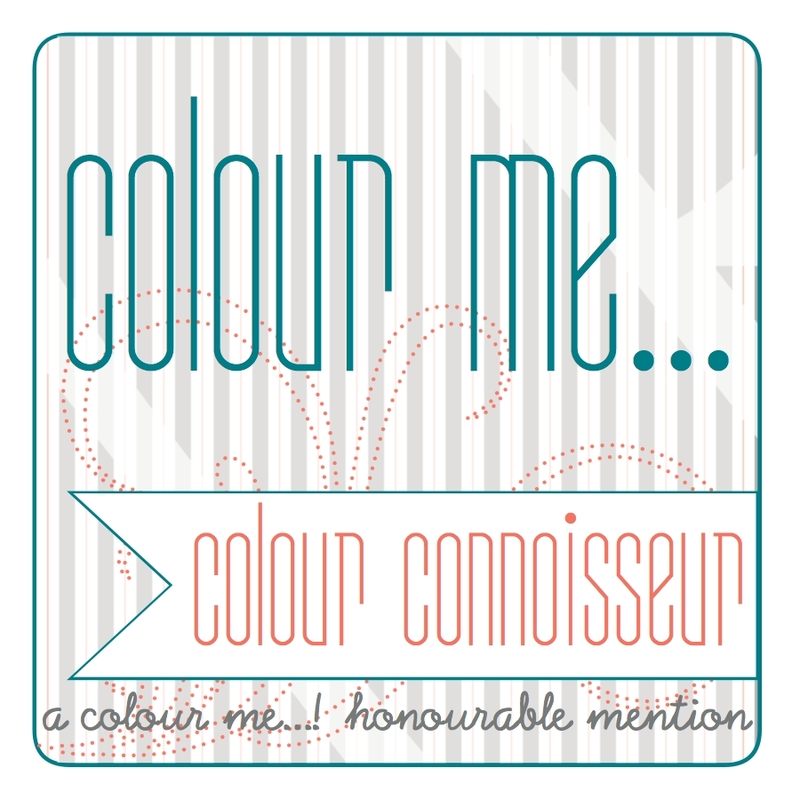 I coloured her with my favourite Copic markers and die cut the image with the coordinating dies from CC designs rubber stamps. 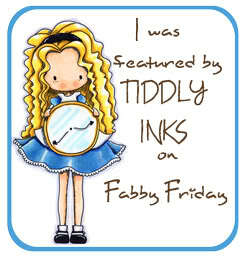 And I also used My Favorite Things Peekaboo Jumbo die to cut the shaker window. I love this peekaboo die very much and I actually have them in both the Jumbo and regular size! I like making shaker cards especially when it comes to the part of adding in the beads, blings and sequins! It makes me feel like I'm a wizard adding in different stuff into a pot making potions! And I had friends and family members telling me they had fun shaking the cards hearing the sequins and beads shaking! Cool isn't it?! That's all for now. I hope you like shaker cards as much as I do (: Stay cool and craft on!